The image below is here because of the unusual "Grasping Vice" that has never been seen elsewhere or in real life. 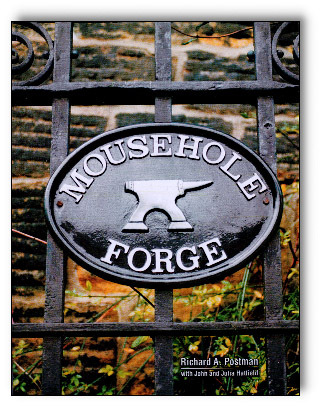 M & H Armitage, like many other anvil makers also made vises. 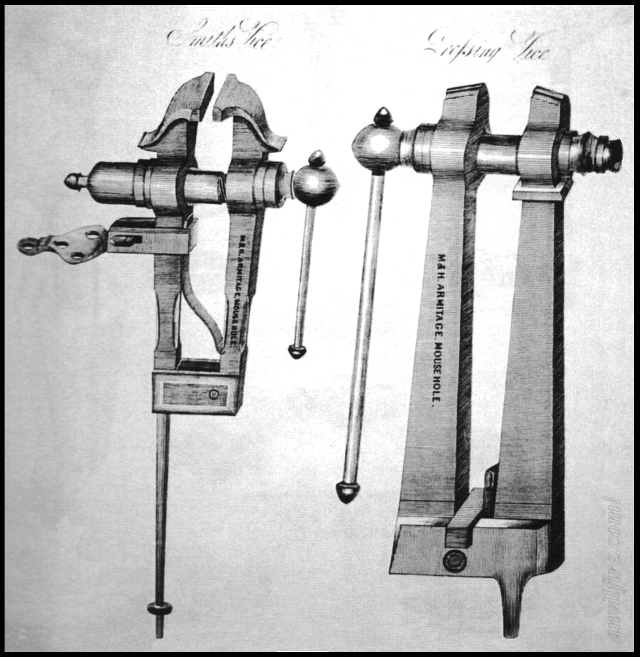 These early vises were made of the same materials as the anvils, wrought iron and steel (for the jaws). The heavy forging and welding were similar processes but the screw making was a specialty. "Smiths Vice" and "Grasping Vice"
Usually these old engravings are pretty accurate but this one has some issues with details such as the leg vise bench bracket having an offset and pivots which are drawn as a circles on both vises. The Grasping vise has a very peculiar arrangement at the pivot. So it is difficult to know what else is an issue. If you have any clue what this "Grasping Vice" is for let us know.